Donna Bailey Nurse talking to Shelagh Rogers about The Perfect Pledge on the Next Chapter. Nobel Prize-winning author V.S. Naipaul was born in Trinidad, and he is best known for his novels set in that country, including his breakthrough 1961 novel A House for Mr. Biswas. 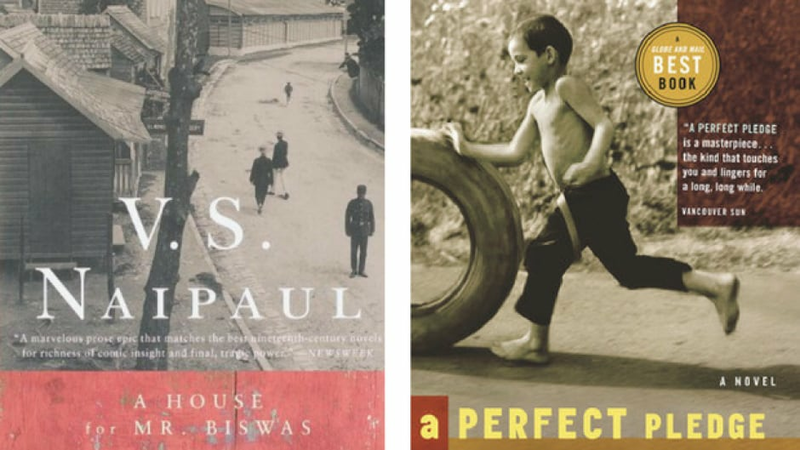 Below, The Next Chapter columnist Donna Bailey Nurse suggests a Canadian novel that she thinks would be a great fit for fans of Naipaul’s book. Rabindranath Maharaj’s A Perfect Pledge is a wonderful book that I don’t think we hear enough about. Both books begin with a birth — A Perfect Pledge begins with the birth of Geevan, who’s called Jeeves, a fourth child for his aging father. His family also doesn’t have a lot. It feels like Maharaj’s book moves us forward a generation in that the family does have a house, so we’re not talking about a house. We’re in a new generation, and he’s thinking about independence. What this character is thinking about is, what is the meaning of independence? He thinks everybody should be in charge of their own life, and that moves us forward in the Caribbean story. Donna Bailey Nurse’s comments have been edited and condensed. When Samuel is 17, he loses his mother and moves in with his estranged father who happens to live in Toronto, not Trinidad, where Samuel grew up. With the aid of the superheroes he adores from his comic books, he learns to adapt to his new life in this sparkling novel that’s as funny as it is moving. The Amazing Absorbing Boy won the 2010 Trillium Book Award and the 2011 Toronto Book Award. Trinidad and Tobago Newsday (March 21) – “There are times when you choose, and there are times when life chooses you. For acclaimed Trinidadian author Rabindranath Maharaj, his path as a writer was really a little of both…” Read the article “Robin Maharaj to read tomorrow at Campus Week” here. Trinidad Guardian (March 21) – “Multiple-award winning T&T author Rabindranath Maharaj says more government support is needed if the country is to produce prolific writers. He was speaking to the T&T Guardian after lunchtime readings of the University of the West Indies (UWI), St Augustine’s annual Campus Literature Week at the Alma Jordan Library, yesterday…” Read “Award winning author calls for Govt to support writers” here. Trinidad Guardian (March 17) – “The idea of returning to T&T for a time to work and share knowledge as an established writer came to Rabindranath Maharaj when he took part in last year’s Bocas Lit Fest in Port-of-Spain…” Read the full article, “Rabindranath Maharaj Stepping Back, Drawing Closer”, here. Trinidad Express (March 11) – “Acclaimed author Rabindranath Maharaj has returned home to help build the community of emerging writers…” Read the full article, “A Love for Writing”, here. Above: NORTHWORDS trailer from filmCAN on Vimeo. “North Words”, from CBC’s “The Next Chapter” – Listen as Robin and other authors read from works inspired by their 2011 trip with Shelagh Rogers to Torngat Mountains National Park in Northern Labrador. Interview Podcast at University of the West Indies (September 29) – Listen to Robin discuss his writing with Ryan Durgasingh. 25th Trillium Awards Anniversary Reading (May 2) – Robin reads at the celebration. The Picture of Nobody – Robin talks about writing for Good Reads. Maple Ridge Public Library, BC – In 2010 Robin visited the West Coast and talked about The Picture of Nobody. Durham Region Public Libraries (October 16) – Robin appears in this video promoting public libraries. Toronto Public Library (October 15) – Listen to Robin discuss the origins of The Amazing Absorbing Boy and what its main character Samuel discovers about the city. Play video below or click here. The Toronto Observer (October 19) – Click “Author Says Toronto Book Award Acknowledges His Work” to read article. Torontoist (October 14) – Article about Robin’s Toronto Book Award win. Read it here. East of the City Magazine (August 22) – Read “A Trillium Grows in Ajax“, a look at Robin’s recent Trillium Book Award win, by Heather O’Connor. NewsDurhamRegion.com (July 29) – “Ajax Celebrates Authors Award-winning Book” by Mike Ruta. Trinidad Guardian, “Living a Dream” (February 6) – Read the latest profile of Robin here. TVO, “Allan Gregg in Conversation” (above) (August 20) – with Robin. Details here. CBC Books – Books and Authors profile page for Robin, containing numerous CBC links from 2003 onward. BookLounge (above) (February 16) – On BookLounge Robin “discusses comics, setting a novel in Canada, and finding a voice on the GO Train.” If video does not appear above, click this link. 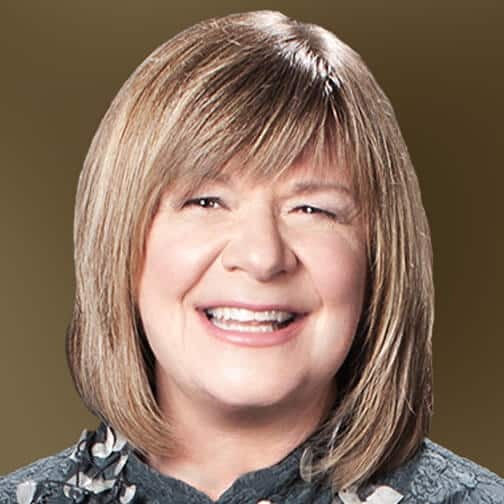 CBC Radio (March 5) – On “The Next Chapter” with Shelagh Rogers, Robin discusses The Amazing Absorbing Boy. Maisonneuve (February 13) – An interview online at Maisonneuve magazine. CTV ‘Canada AM’ (February 10) – Television interview with Seamus O’Regan. Globe and Mail (February 9) – Read a profile and interview in the Globe and Mail. National Post (February 5) – Mark Medley’s article/interview in “Life in cartoon motion; Rabindranath Maharaj’s comic book version of Toronto“. Abebooks.com (February 5) – Read AbeBooks.com interview with Robin here. Book Bits (February 2) – Listen to interview with Craig Rintoul here or here. Toronto Star (February 2) – Profile by Vit Wagner. Read “From Inside the City, Giving Voice to an Outsider – Author’s years living in Toronto helped with novel about immigrant“. CBC Radio ‘Metro Morning’ (January 22) – Interviewed by Matt Galloway. To listen, click here. Essay in Globe and Mail – “When I was about ten or so, a new neighbour moved into the empty house opposite my parents’ in Tableland, a village in South Trinidad. This neighbour, a man who seemed close to seven feet tall invited my uncle and me to his place one evening…” Read “A world of Marvel“, an essay from Robin, describing how The Amazing Absorbing Boy began. CNQ Canadian Notes & Queries (Issue 76, 2009) – “I was born in 1955 in George Village, Tableland, a small agricultural district between two very old towns: Princes Town, given its name from a visit by Prince George, and Rio Claro, which I will always associate with ancient, white-washed concrete churches and noisy wooden rum shops. Most of the villagers were cane and cocoa farmers, and as a boy, I would gaze from the front yard at the bisons and donkeys on the road walking at the same slow pace, day after day….” Read the entire feature interview with Robin, as conducted by John Metcalf, in print, or online here. Newsday (February, 2008) – “There’s a kind of solitariness to Canada for most immigrants, especially for people in my profession, and that to me is one of the real benefits of writing – the fact that you don’t have that kind of social interaction, that kind of liming that you have in Trinidad.” Read the complete interview here. Toronto Star – “Three immigrant authors; three experiences of a new place called Toronto. These writers will share memories of their first days in the city…” includes “Afraid of the ‘almosts'” by Rabindranath Maharaj, alongside fellow authors Shyam Selvadurai and Goran Simic. In My Own Words (September, 2007) – “My most recent novel, A Perfect Pledge, began with a solitary image of an old man toiling away in a canefield shadowed by a windmill.” Read article here. The Writer’s Cafe.ca – Author is interviewed and reads from A Perfect Pledge. To listen, click here. Toronto Star (June, 2006) – “The Melting Pot by the Lake; friendly shores – In our sixth piece on a Greater Toronto place written by a local author, Rabindranath Maharaj writes of the Ajax waterfront, and how his parents helped him see it anew friendly shores”. Reading Writers Reading (August, 2006, The University of Alberta Press) – Robin photographed and his words featured in photographer/editor Danielle Schaub’s beautiful book about Canadian writers. “. . . IR: You’ve often said that leaving Trinidad allowed you to write. Given the years that you’ve since lived in Canada, how have your perceptions of both places altered, and did these manifest at all in the ideas that compelled you to write A Perfect Pledge? “RM: Leaving Trinidad allowed me to view writing as a profession with its own rules and obligations, different from what I had imagined. In Trinidad, everyone has some grand fantasy or another, so I needed to be certain that my desire to write was not just another half-crazy idea. I was fortunate, I believe, that I moved to Fredericton rather than, say, Toronto because I was completely cut off from everything familiar. The landscape could not be ignored. I began to contrast everything new with all I had known. And everything I’ve written since then has been coloured by this contrast . . .” To read the complete interview at Books in Canada, click the image above, or click here for a pdf version. Vancouver Sun (August, 2005) – “Memories of Colour and Chaos – Interview 1: Trinidad looks different to Rabindranath Maharaj now that he’s lived in Canada for more than a decade…”; with Rebecca Wigod. Globe and Mail – “Trinidad on the Double-Double – Reading about a fully formed Caribbean universe of bull carts, mango trees, pumpkin-vine soups and turmeric-past rubs, it’s hard to imagine [A] Perfect Pledge was conjured up in the coffee shops of Ajax”; with John Allemang. Engaging The Word (Summer, 2005) – Robin speaks with James O’Hearn about A Perfect Pledge. READ magazine (Fall, 2003) Vol.3 Issue 2 – “The Art of the Short Story” – The author, along with writers Timothy Taylor and Shaena Lambert, discusses the craft of short story writing. Read the article here. Ajax News Advertiser (September, 2002) – “More Maharaj Tales are Short and Sweet – Detour leaves Ajax author with ‘Ifs and Buts'”; with Al Rivett. Hour Magazine (Montreal, June 2000) – “Adrift in Trinidad – Bridging Old and New Worlds With a Stranger”; with Noel Rieder. The Montreal Gazette – “Trinidadian Explores Identity ‘Trap'”; with Ian McGillis. B&A New Fiction (Summer, 1997) – “Internal Exile: An Encounter with Rabindranath Maharaj”; by Brooke Clark.